It first emerged in September this year that the Mahindra TUV300 will receive a mid-life update next year. Ever since, several spottings of heavily camouflaged test mules have been reported online, with a new image from Thrustzone being the most recent record. The 2019 Mahindra TUV300 will feature the X-shaped spare wheel cover from the Endurance edition that was showcased at Auto Expo 2016. 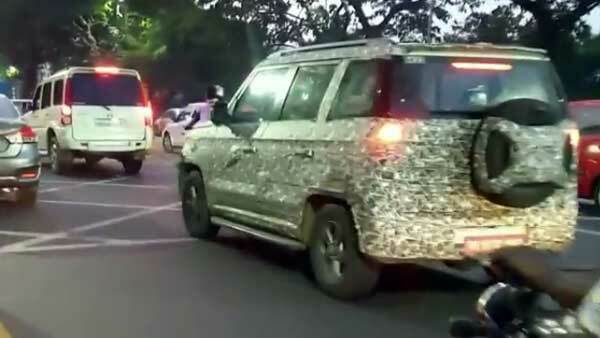 It's clear from the several images seen so far that the 2019 Mahindra TUV300 (facelift) will not receive any dramatic visual updates. The changes will be restricted to a new X-pattern spare wheel cover that comes from the TUV300 Endurance edition shown at the Auto Expo 2016, upgraded lighting units, and new alloy wheels for the T8 and T10 trims. Inside, the only ladder-frame sub-4 metre SUV should gain a touchscreen infotainment unit with Android Auto and Apple CarPlay support. More importantly, the 2019 Mahindra TUV300 (facelift) will offer a higher safety quotient owing to the updates it will receive to attain adherence with the stricter crash safety norms. The revised model will reportedly have a more robust bodyshell that will offer higher occupant and pedestrian crash safety levels. 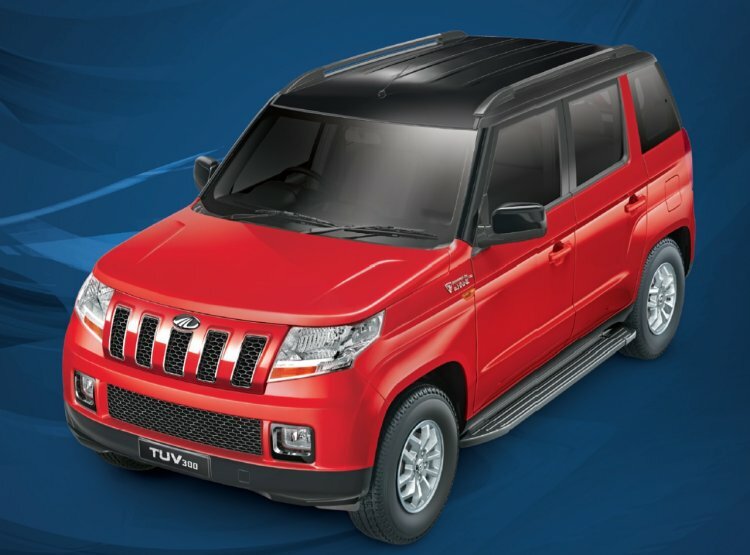 Furthermore, the 2019 Mahindra TUV300 should be introduced with an upgraded motor to comply with the BSVI emission norms that come into effect on 1 April 2020. The BSIV-compliant 1.5-litre mHawk100 four-cylinder turbocharged diesel engine of the TUV300 produces a maximum power of 100 bhp and a peak torque of 240 Nm. It comes mated to a 5-speed manual transmission and a 5-speed AMT. Standard safety features across all trims include dual front airbags and ABS with EBD. The facelifted model will likely offer front seatbelt reminder (SBR), reverse parking sensors, speed alert warning system, speed-sensing automatic door lock and impact-sensing door unlock to be compliant with the new safety regulations set to come into effect next year. With an average monthly sale of 1,793* units, the Mahindra TUV300 isn't as popular as the Maruti Vitara Brezza, Ford EcoSport and Tata Nexon. The Mahindra TUV300 has an average monthly sale of 1,793 units*. The various updates arriving with the facelift should boost its sales.